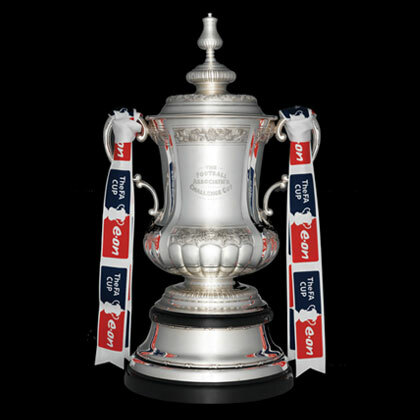 This Saturday sees the Preliminary Round of the FA Cup take place, and once again BT Sports’ cameras will be in position at the Rush Green Bowl to document the events of the day as they unfold. Their first visit was just over a week ago, for our Extra Preliminary Round tie versus Essex Senior League Sporting Bengal United, a tie we successfully came through despite a very spirited effort from the visitors, who were very much a credit to themselves on the day. It was very much a surreal day from my standpoint, and I can only imagine how the players felt. The camera crew arrived early, interviewing the players on Clacton Pier and recording footage of them in various situations in and around the seafront area. Further interviews back at the ground followed, along with further footage being filmed as everybody connected with the club put the finishing touches to preparations for the game. BT found themselves an immediate star in our club secretary, Barry Leatherdale, (fondly known as Baz), who introduced the watching millions (well ok, maybe not quite millions!) to our club in a way that only he can, and then finally, and in some ways reassuringly, kick-off time arrived! I say in some ways reassuringly because I haven’t felt so nervous for an FC Clacton match in years. The sudden media spotlight that had been thrust upon us was a godsend in many ways; a chance to put FC Clacton on the map. It would, however, have been for nought if we had come up short on the day. An early goal was what was needed to settle the nerves and Aaron Condon duly obliged, putting us ahead as he slotted the ball home from close range after good work by player-manager Ray Turner. I must admit to feeling somewhat relaxed at this point. The omens when we score first in a game are generally pretty good, and I felt confident that this day would be no different. All was going well until five minutes before the break, when a superb free-kick put the visitors level, and the teams went in at half-time with the score all-square. And this is where the nerves really started to kick in. It became pretty obvious as the second half progressed that the next goal would effectively settle the contest. Clacton struggled in vain to break the visitors’ offside trap, as a somewhat trigger-happy linesman continually raised his flag every time we dared play the ball into the Bengal half, whilst at the other end debutant keeper Joe Fowler made a couple of massive saves to keep us in the game. And then it came. Just as we were all reluctantly preparing ourselves for a midweek replay back at Tower Hamlets, the deadlock was finally broken with just ten minutes remaining on the clock. An inswinging cross from Tom Austin bounced dangerously in no-man’s land in front of the keeper, allowing Turner to steal in and head the ball into the bottom corner of the net. The feeling was absolutely incredible, joy and relief in equal measure, a feeling that perhaps this day was infact destined to be ours. But the best was still yet to come. Just a couple of minutes later, Jake Clowsley struck an unstoppable twenty yard effort into the top left hand corner to set the seal on an emotionally draining, but ultimately worthwhile and victorious, day for all of us connected with FC Clacton. So this Saturday we welcome the BT cameras back to the Bowl for the visit of another Essex Senior League side, Hullbridge Sports, in the Preliminary Round. Despite a couple of poor league results since the victory over Bengal, I know the lads will be very much up for the game and I’m confident that if we apply ourselves properly on the day its one that we are capable of winning. But whatever happens, I’m sure it will be no match for what happened on Saturday 17th August 2013, the day the BT Sport cameras first came to town.